New York is one of the only three states that allow for the option of spousal refusal. Spousal refusal is an asset protection tool used wherein a spouse living the the community refuses turn over his or her assets or income to an ailing or incapacitated spouse for the purpose of seeking nursing home Medicaid benefits. This tool may make some people feel uncomfortable and may view its use as “abandoning” a spouse when s/he needs help the most. However, employing spousal refusal is not tantamount to abandoning a spouse. Spousal refusal is simply a way of preventing assets from being drained over the course of an expensive nursing home stay. With the proper planning, spousal refusal can protect assets while at the same time permitting the spouse who needs long term care to qualify for Medicaid benefits. This will decrease the financial burden on the non-institutionalized spouse, allowing him/her to provide the emotional care and comfort to the ailing spouse. 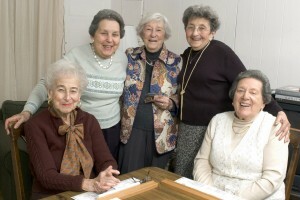 To learn more about New York elder law and New York Estate Planning<, visit LittmanKrooks.com.